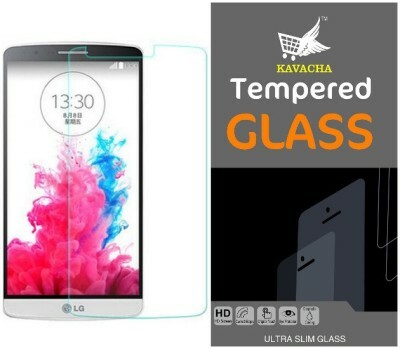 Premium Kavacha Tempered Glass For LG Optimus L5 E610Selected and used Japanese imported glass material and nanotechnology with excellent defensive performance. It owns super high transmittance and restoring the original color of screen. It supports anti-glare coating to prevent glare.9H Super Hardness ,Perfect protection Used special tempered glass material, its hardness up to 9H;the scratch resistance is quadruple better than normal PET protector film, effectively preventing scratch and abrasionANTI-EXPLOSION Infinite Tolerance Made using reinforced steel material, if the glass breaks it remains as a single piece, thus under the intense collision, effectively protect the phone's screen there by preventing ruptureWaterproof and Sweat proof, Easy to clean International advance technology with oleo-phobic coating makes this product scatter resistant when water is spilled. Ultra-Thin Material, perfect touch feeling Chemical transparent toughened glass with the world's top film processing technology, thickness of 0.25mm, smooth feel allows you to easily enjoy the perfect touch feeling of the phoneStrong Absorption force ,Easy to Paste, No Bubble Do not add any mucilage glue. This material has automatic absorption. It will not easily fall off after stuck and leaves no traces when removed even after years.2.5D Edging Craft Tailored for your love of the phone, the rounded edge more anti-collision ability makes it safer and more durable.Package including 1* Kavacha Anti-Explosion Glass Screen Protector 1*Alcohol SwabPacked in double layer protection to prevent breakage.